Parsley essential oil can be extracted either from the seeds or the leaves of the petroselinum sativum plant through steam distillation. It has a brownish-amber appearance and a woody-spicy scent when distilled from the seeds and an herbaceous sweet odor when extracted from the leaves. 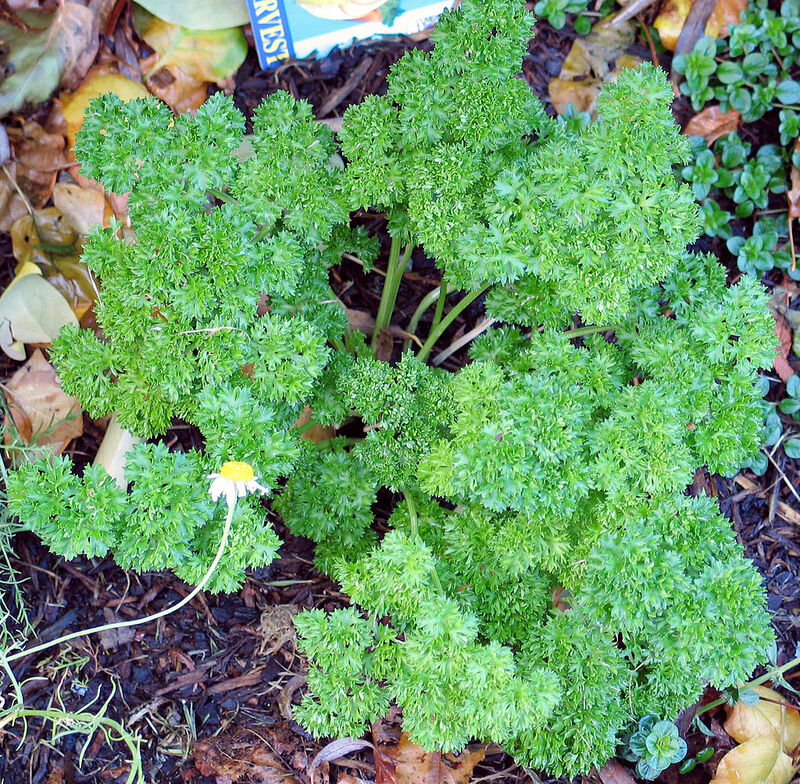 Seed parsley oil has more therapeutic properties. In aromatherapy use, it is very helpful in reducing any accumulation of toxins in the joints and in musculature. It relinquishes swelling in arthritic joints, increases elasticity in tissues and encourages regeneration of smooth muscle. Parsley seems to have a tonic effect on blood vessels, supporting and shrinking broken blood vessels, thereby reducing the discoloration of bruising. It also is helpful in shrinking hemorrhoid tissue when used topically in a carrier oil. Its carminative properties mean that it is wonderful for digestive disorders and can relieve colic, flatulence, indigestion and bad breath. It is one of the ingredience in “gripe water” which is a liquid mixture designed to reduce a baby’s upset, colicky tummy. My first baby was very colicky and responded well on gripe water. Parsley can be used as a tonic for the uterus, aiding in labor. It can also increase menstrual flow or bring on a late period; and because of this, should not be used by pregnant women, lest it encourage early labor or miscarriage. Parsley is helpful with cystitis and urinary infections and can be used in a douche to cleanse the area. It has a diuretic effect and can reduce the stagnation of edema, cellulitis and puffy joints. So, next time you see a sprig of parsley decorating a plateful of food, rather than ignoring it, have a little taste and enjoy its gifts.